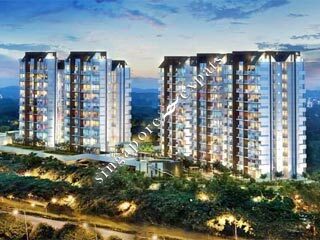 VACANZA @ EAST is located at 36 - 50 LENGKONG TUJOH in district 14 (Eunos, Geylang, Kembangan) of Singapore. VACANZA @ EAST is a Freehold Condo development consisting of 473 units. VACANZA @ EAST is completed / TOP in 2014 (estimated), developed by HOI HUP SUNWAY PROPERTY PTE LTD.
Educational institutions like NPS INTERNATIONAL SCHOOL, GLOBAL INDIAN INTERNATIONAL SCHOOL (EAST COAST), ROSEMOUNT INTERNATIONAL SCHOOL, TELOK KURAU PRIMARY SCHOOL, EAST COAST PRIMARY SCHOOL and DAMAI PRIMARY SCHOOL are near to VACANZA @ EAST. VACANZA @ EAST is accessible via nearby BEDOK NORTH, KEMBANGAN and KAKI BUKIT MRT Stations. Great condo in the East Coast area. Great mix of locals and expats, families, couples and singles. Super friendly staff! All the usual trimmings with a condo, great facilities!